Point guard Chris Paul continues to move up on the all-time assists leaderboard. His 14 assists in Monday’s victory at Minnesota moved him past Kevin Johnson into 18th-place on the all-time assists leaderboard. Paul had 6,724 heading into action Wednesday against the Portland Trail Blazers. Wednesday night. Next up at No. 17 is Muggsy Bogues, who had 6,726. Among the big-name players Paul has passed this season are Jerry West (6,238) and John Havlicek (6,114). There were two very big baskets by the Clippers down the stretch in their 110-105 victory Monday night at Minnesota. Spencer Hawes buried a 3-pointer for a 105-101 lead with 1:31 to play. Then, with 38 seconds left, Chris Paul made a 19-footer over the 6-foot-11 Kevin Garnett for a 108-103 lead, all but sealing the Timberwolves’ fate. Since Paul is only 6-foot, his shot over Garnett was not easy to make. Paul scored 26 points and had 14 assists. 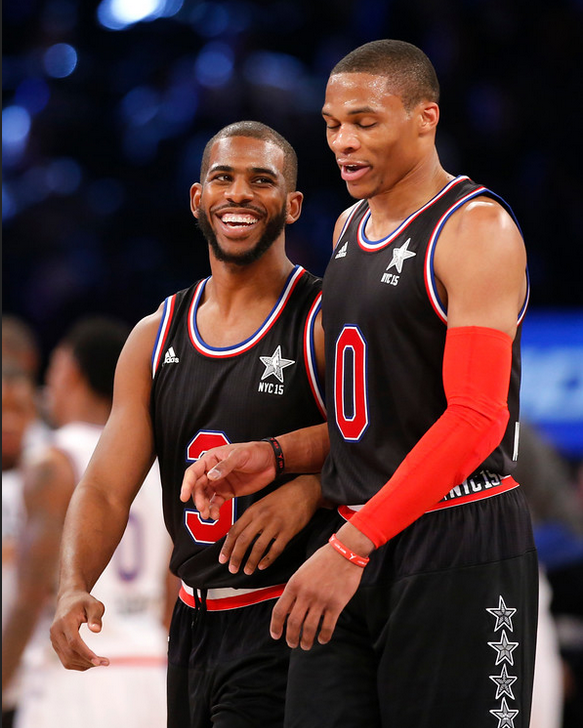 While Russell Westbrook took home the MVP and nearly set a scoring record for the NBA All-Star Game with 41 points on 28 shots, the Clippers’ Chris Paul led the game with 15 assists. Paul is the all-time leader in assists per All-Star game (12.5). Magic Johnson has the top two single game assist totals, with 22 in 1984 and 19 in 1988. In case you want to see what 163-158 looks like on paper, here’s the 2015 All-Star Game box score. Not all is right with the Clippers at the All-Star break. 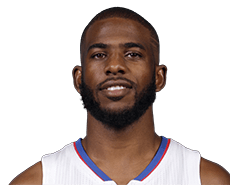 Chris Paul talked with reporters about the team’s defensive issues and its place. He also talked about his career, his appreciation of the game and the joy of taking his son to New York with him. Read Vincent Bonsignore’s column.